A home with all the desired sections, stylish furnishing and gorgeous embellishing is the dream of every homey person. An accomplished home with all the functional and beauty applications gives us a sense of satisfaction and pleasure and those who come with the silver spoon in their mouth spend a big fortune to get such a fancy house. But not everyone is born rich and wealthy, the majority of the people are those who live on budgets and monthly incomes and for such people, a dreamy house is somewhat impossible to achieve due to the inflaming prices of the furniture and decor things in the market. 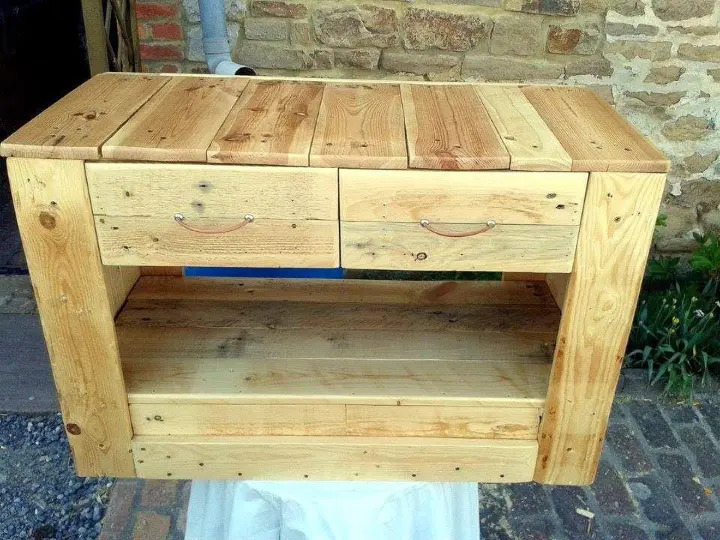 But through the pallet projects we are to give you some useful and budget free ideas by the reuse of discarded pallets for a better home with all the stylish and functional furniture gain along with some creative and amazing decor ideas too. 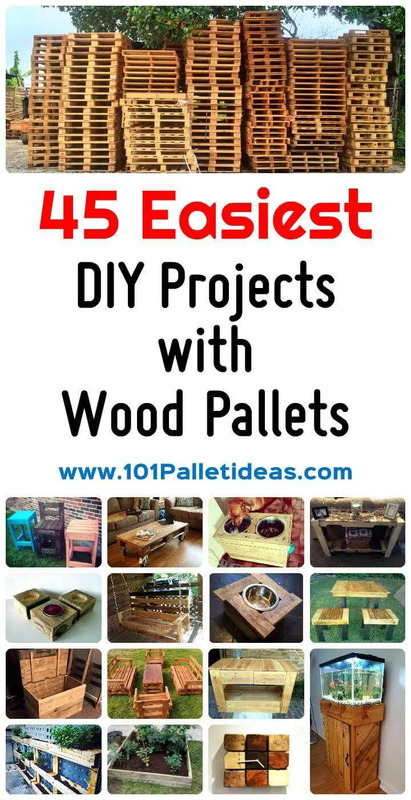 And today we are going to share with you almost 45 creative wood pallet projects and ideas ranging from indoor furniture and decor to outdoor improvement projects and they are easy and too feasible to deal at home with. 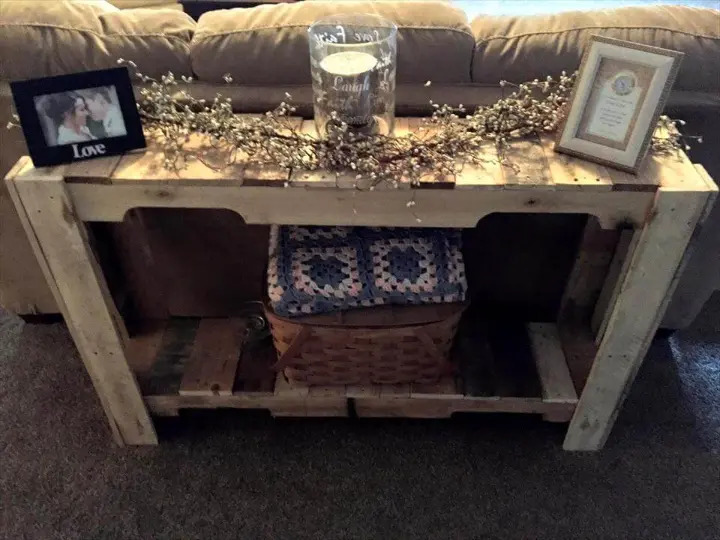 So have a sneak peek into these 45 DIY pallet home improvement ideas and you would come to know that there is not even a single thing that cannot be attained from the pallets. We have divided the 45 ideas into small roundups so that they are easy to brief about. In the first group of the pallet ideas we have included the gorgeous collection of furniture and decor items with a touch of rustic style in all, some of them belong to the basic home furnishing like a dining set with large table and benches, an XL size multi stained pallet coffee table, lounge chair made all from the slat arrangement and stacking method. 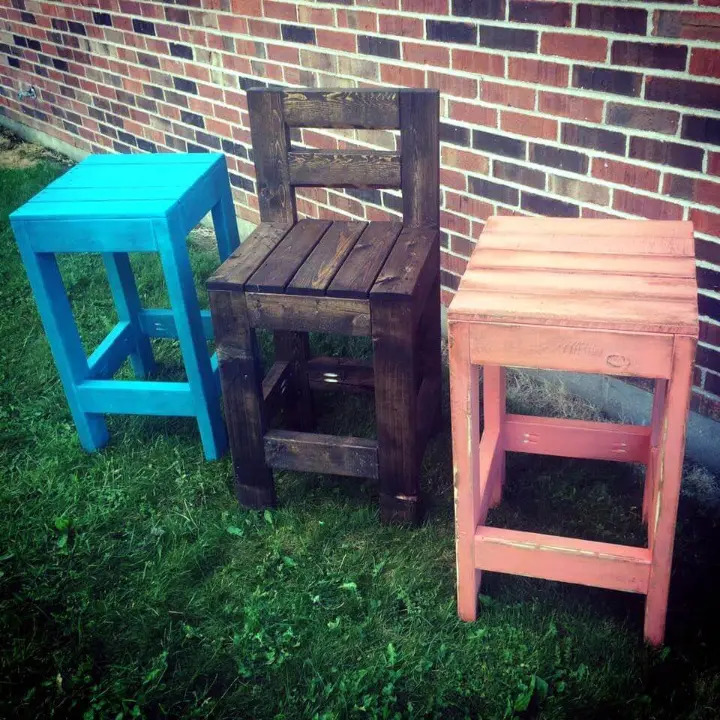 For the outdoor bar area stools with and without back have been yielded from 50+ Best-loved pallet bar ideas with lovely and bright hues of stain. To jazz up a bedroom dwelling a trendy bed with crate like hanging shelves and a super cool media table with drawers would grab your attention below. 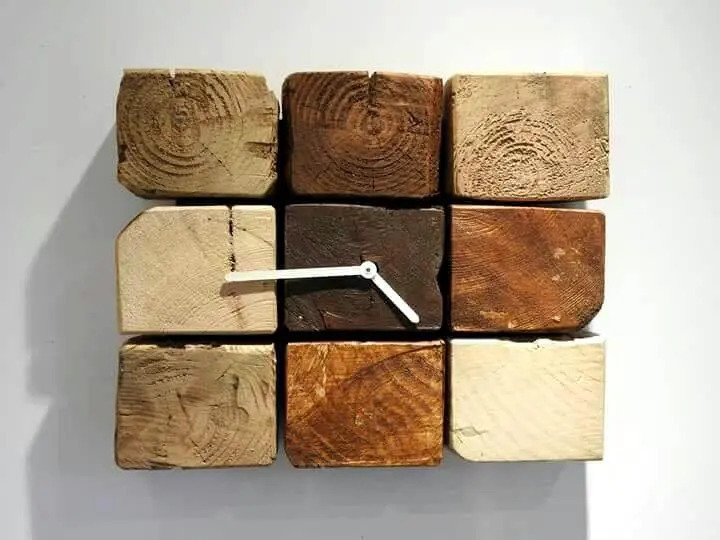 And for the walls there is cute clock made from dice section pieces and a big mirror with pallet plank frame adding more beauty and fun to your home decor and interiors. 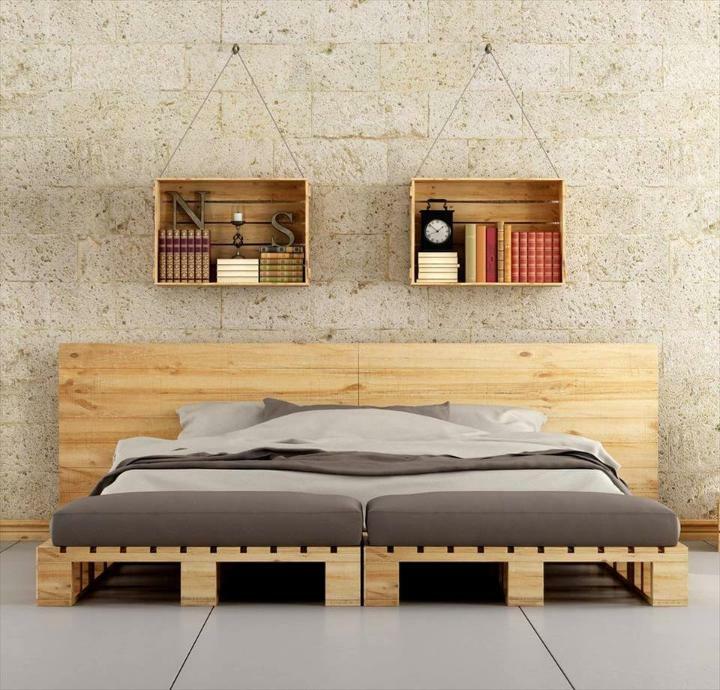 This pallet bed frame is really something unique and modern in its style and shape and can be easily adapted to a contemporary styled bedroom. The single face skids have been joined to form the bed platform and large boards have been turned into the headboards while the crates have been hanged on its top for book storage. 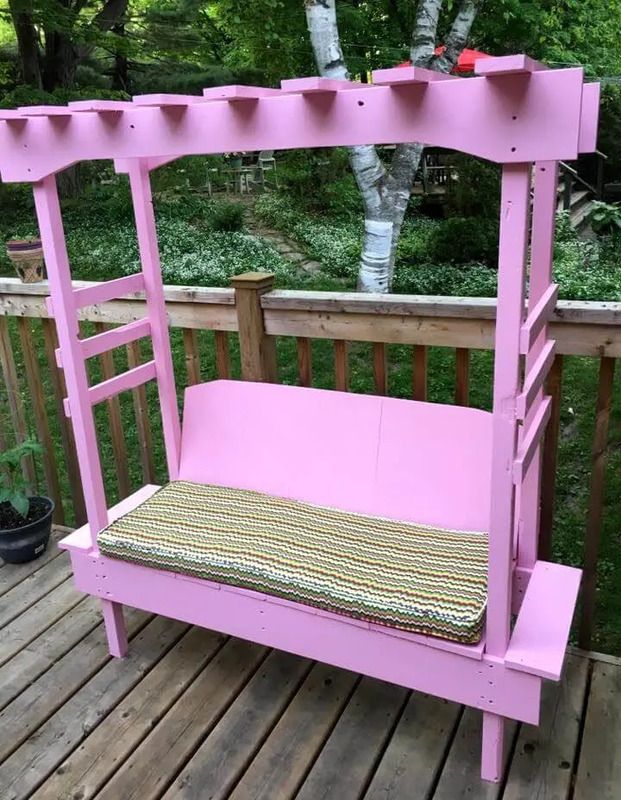 This bench seat for the kids is double functional as it would allow the kids to have a fun seat on it and to climb it up at the side stair steps and pergola and the purple color makes it look damn cute to attract the little girls. 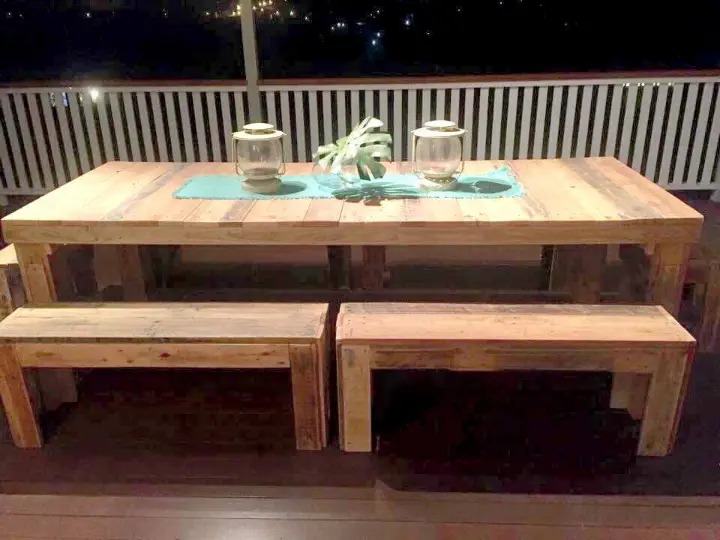 This is a master piece from the pallets made with skillful and and talented hands with fine crafting when pallet slats have been stacked tightly together to shape up the giant table, benches and the stools at the sides to sit. 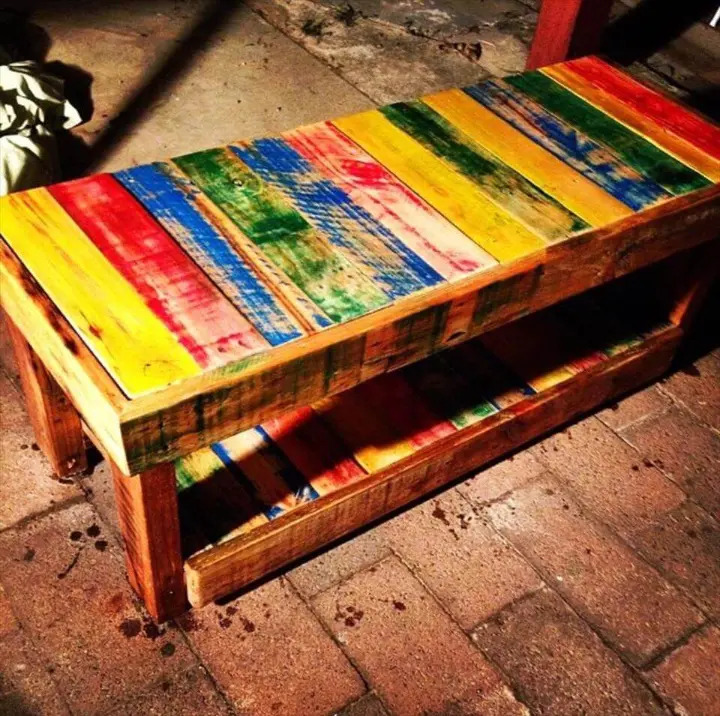 This coffee table is one of its type for for two main reasons one is its large size with double shelves and the other is its finish in the rainbow colors making it look quite a shabby chic piece of decor for your living or outdoor. Pallet skids are when dismantled we get slats and dice sections and the small and cute dice section pieces have been stacked together here to shape up this utterly creative and unique clock for the decor of your walls. 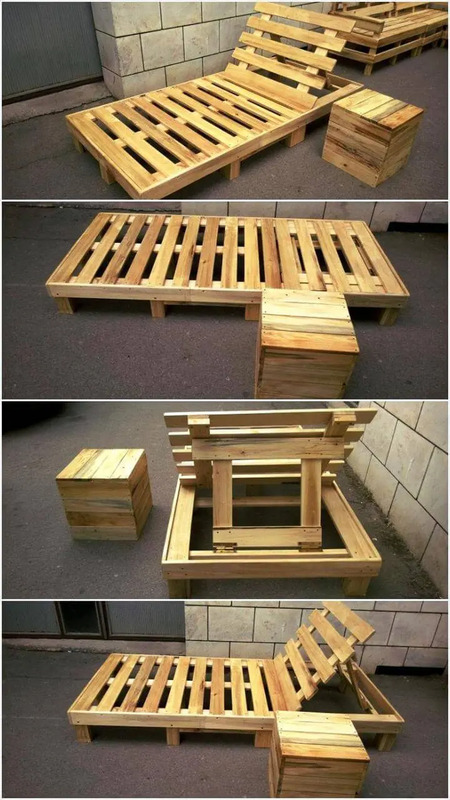 To shape up this pallet made lounge chair first make a rectangular frame from thick pallet bars and then fill it with gap using pallet slat pieces same slat would be used as hinges to support the back at a tilted angle. 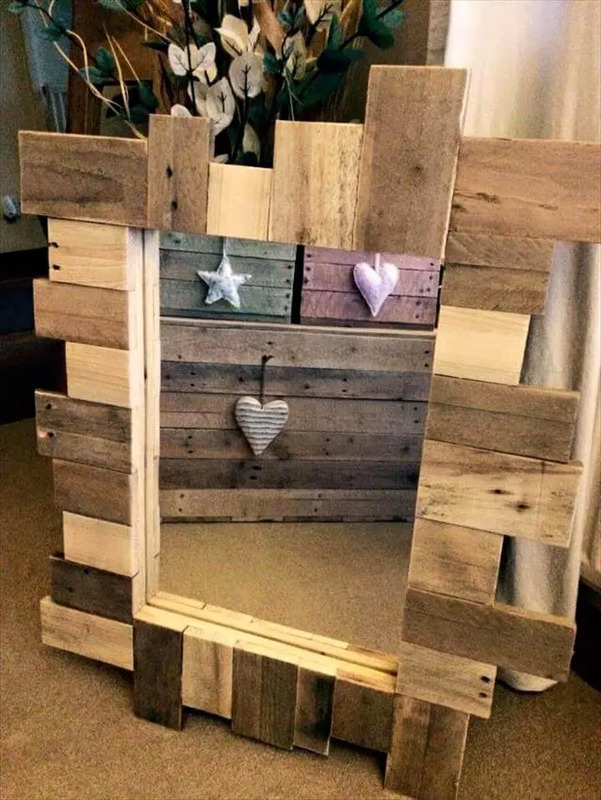 If you are working on pallets then you must have some pallet scrap of left out piece different in pieces don’t throw them away as they can be used to make such a gorgeous mirror for your hall or bathroom decor. Apart from the sofa side tables and console table one more type of table is used in the living and that is this behind sofa like that of a console table to up grade the decor of the house by holding the candle jars, flower vases, photo frame and lot more on it.